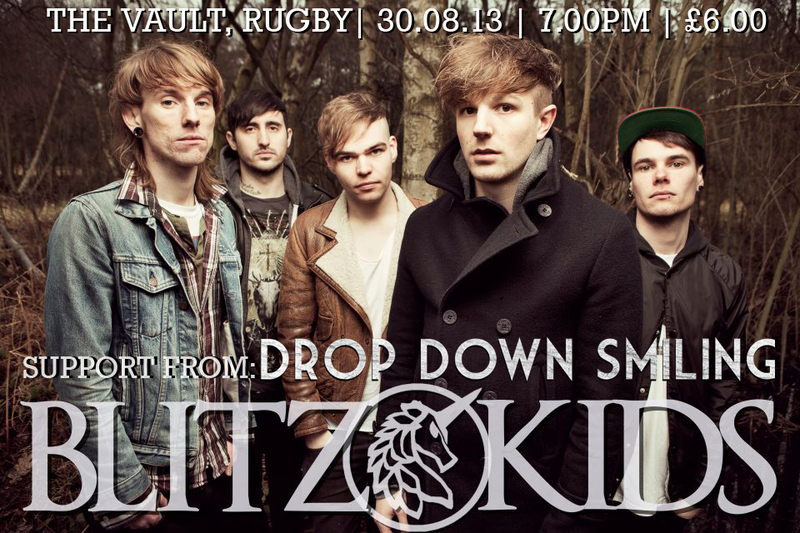 Fresh from their Download Festival 2013 performance and ahead of their upcoming UK tour with “The Blackout”, Blitz Kids will be tearing through Rugby and joined on the bill by yours truely! ‘Blitz Kids’ recently provided main support for “Lower than Atalantis” on their Europeran tour and have recently signed to Red Bull records, with a Kerrang Award nomination in the bag for “Best Newcomer” this is surely a show not to miss. Tickets are on sale now and available at just £6! !